Have y'all seen ombred hair? Basically, it's where the top of your hair is dark and gradually lightens as you reach the ends. Like you let your dark roots grow waaay out on purpose. Emma of A Beautiful Mess has a gorgeous ombre going on. I'd seen several other girls rocking it too and started to catch the ombre bug. The thing is, they've been rocking it for years and I am (of course) late to the ombre party. 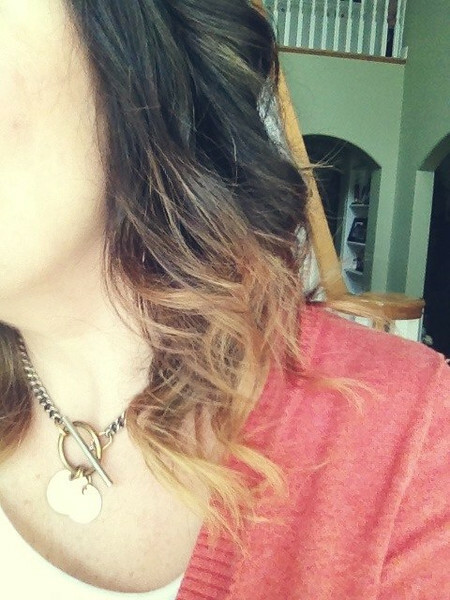 I recently saw Danielle's DIY ombre post (& video) and couldn't believe how simple it seemed. Like, I actually thought I could do this to my own hairs. Even though I've never colored my own hair unless you count Sun-In and a rather unfortunate decision to try a dark ash brown home kit in the early 90s. And you can't count those as successes. 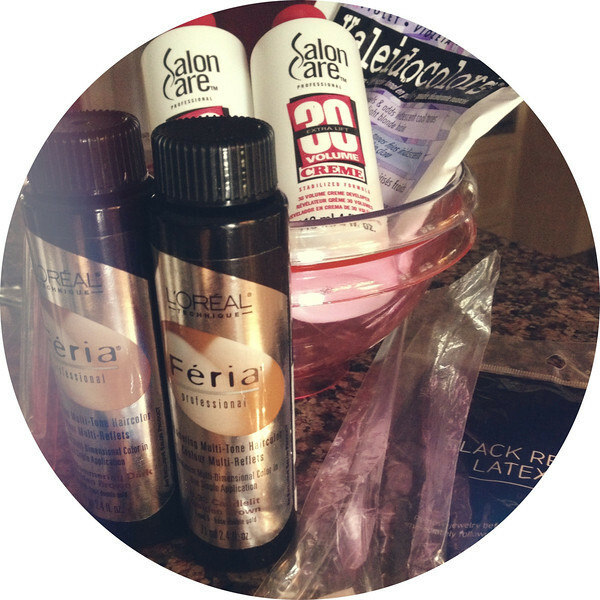 But I threw caution to the wind and made a beeline for Sally's Beauty Supply Monday afternoon. 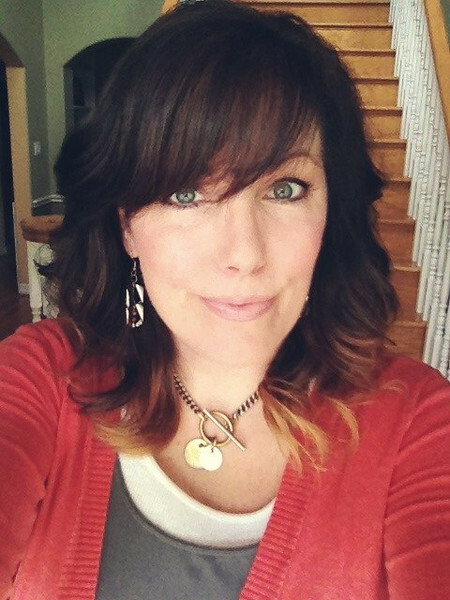 I needed to color my roots anyway, those pesky greys were taking over, so, really, why NOT try ombre? I bought two brown dyes to mix together for the top portion of my hair and the Sally lady recommended the Kaleidocolors violet bleach and Level 30 developer. I gathered my courage and got busy mixing later that evening. I bleached my ends first (eeeek), rinsed that out after 15ish minutes and then mixed the browns together with Level 20 developer and painted it on. Mess. Y. After 20-30 minutes I shampooed everything and used a deep conditioner. Once I blew it dry I realized I hadn't left the bleach on long enough. Yeah, I'd been chicken, and it showed. Of course I'd already rinsed my bowl-o-bleach down the drain. Guess where I went Tuesday? Another packet of bleach (same violet Kaleidecolors) and another small bottle of Level 30 developer. So last night was Bleach-O-Rama, Round Dos. I left the bleach on this time about 30 minutes. I was scared it would turn out too blond--or white even--or like, fall off--since I'd just bleached my ends Monday, but thankfully, no, it was fine. I rinsed, shampooed and deep conditioned again. The lighting is a bit weird, there are a bit more bleachy sections, they're just hiding I guess. I'm thinking I need to add a few (really, just a few) more bleachy bits (thin sections, not chunks) along the sides. Thanks so much Carla! I'm going to live with it for a while and see. If I do add anything it won't be very much, just a tad along the sides--but not too high up. I'm glad ombres are random! I like! 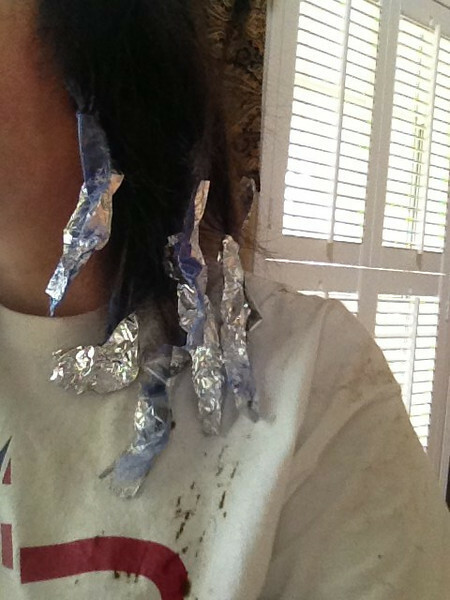 I am not adventurous like this at all though plus my hair is falling out so bleaching would surely be the death of me. What did your husband think? Kim never notices. Last time I got my chin waxed the girl literally burnt some skin off and it took 2 days for Kim to ask what was going on with my face. He hasn't always noticed when I've gotten my hair done at the salon, at least not immediately unless I mention it, but since I was doing this at home at night--and splotching color all over his sink--he found it hard to ignore. :) He says it's okay but he has no idea really of what an ombre is or should be--ha! Thanks! I love Kandee's videos! The sombre sounds neat--I wish I had access to those glazes and things--and that I knew what I was doing--hahaha. Going to a different Sally's!! LOL! That would be SO me. It looks so good! I will never do home color. One bad experience was all it took to make me commit to paying the pros. Love your curls--I'm currently obsessed with flat iron curls for myself. Thanks Nicole! I don't know if this is something I will make a habit of doing but I am glad I tried it. I might do it again--especially keeping up with my roots myself. I have a hard time getting consistent curls with my flat iron, it's tricky (for me). 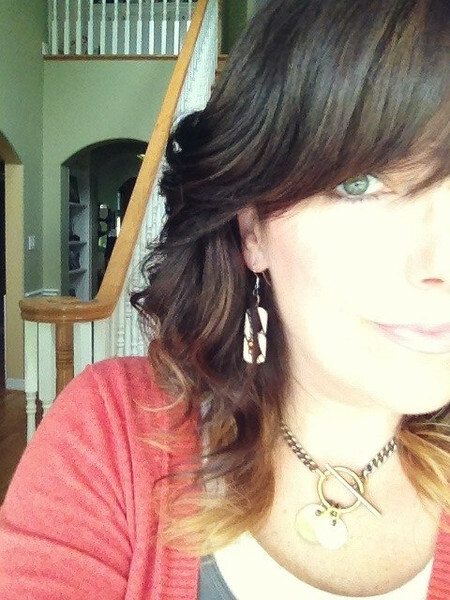 Lately I've been using a 1 1/4" curling iron and that makes looser waves, more beachy.